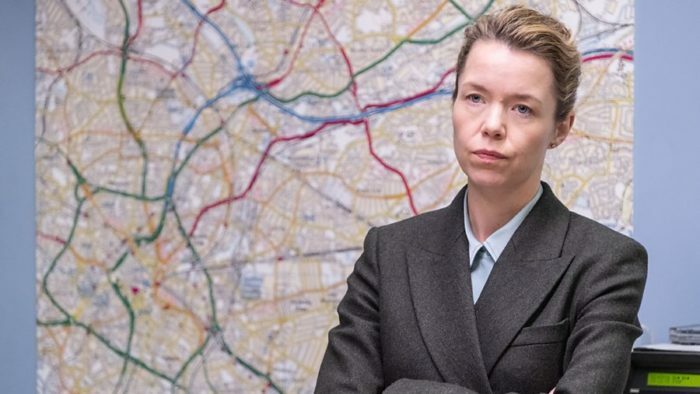 Anna Maxwell Martin will join the cast of Line of Duty for the final two episodes of Line of Duty’s fifth season. The BAFTA-winning star of Motherland and Bleak House will play a “major role” in the deciding chapters to come as Detective Chief Superintendent Patricia Carmichael, a senior anti-corruption detective brought in from outside of AC-12. She’s the latest in a long line of impressive guest stars to join the central lead trio over the years, including Daniel Mays, Stephen Graham and Thandie Newton. 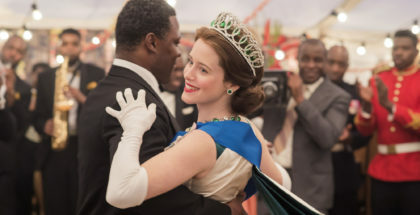 She also arrived following record success for the cop drama, with Season 5’s opening episode the most-watched of 2019 to date. It racked up 7.8 million viewers on BBC One when it premiered, which makes it the most-watched programme of live TV of the year so far. It’s also the most watched episode of the series so far, eclipsing the 5.4 million and 7.5 million who tuned in for Season 4’s opener and closer. “Season 5 of Line of Duty gets off to a thrilling, gripping, surprising start,” we wrote in our review of the opening episode, now available on BBC iPlayer, adding that it “already promises to drive you mad with speculation over the coming episodes. 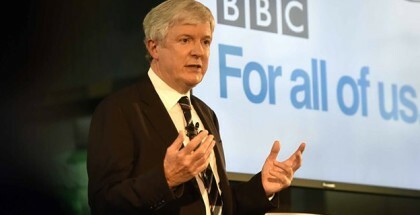 Viewers will first meet DCS Carmichael this Sunday at 9pm on BBC One. Keep up to date with our weekly Line of Duty reviews here. Stop trimming your nails, because you’re going to need them: tonight sees the return of Line of Duty for a fifth season. Created by Jed Mercurio, the cop drama about the anti-corruption unit AC-12 has been sticking audiences to the edge of their seats since way before Bodyguard came along. Now, with only a few hours until Vicky McClure (DS Kate Fleming), Martin Compston (DS Steve Arnott) and Adrian Dunbar (Supt. Ted Hastings) are back on our screens – alongside Stephen Graham and Rochenda Sandall (Girlfriends, Broken) as two pivotal figures in an organised crime group – BBC One is getting our palms sweaty early with a quick tease before events kick off proper. Line of Duty Season 5 premieres at 9pm on Sunday 31st March 2019, with episodes arriving weekly. Line of Duty Season 5 has finally got a release date – and the show returns to BBC One much sooner than you might have expected. Created by Jed Mercurio, the cop drama about the anti-corruption unit AC-12 has been sticking audiences to the edge of their seats since way before Bodyguard came along. 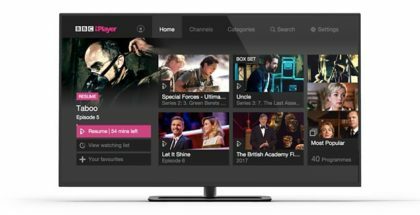 Now, after that thriller proved a big hit, BBC One has built the buzz higher than ever for Line of Duty’s return, following a fourth run that starred none other than Thandie Newton. She joined regulars Vicky McClure (DS Kate Fleming), Martin Compston (DS Steve Arnott) and Adrian Dunbar (Supt. Ted Hastings), as well as Maya Sondhi as PC Maneet Bindra, Polly Walker as Gill Biggeloe, Aiysha Hart as DS Sam Railston, Tony Pitts as Det. Ch. Supt. Les Hargreaves and Andrea Irvine as Roisin Hastings. Season 5 will see Stephen Graham step into Newton’s shoes as the season’s guest star. He will play John Corbett, alongside Rochenda Sandall (Girlfriends, Broken) as Lisa McQueen – two pivotal figures in a deadly organised crime group. Corbett and McQueen become persons of interest to AC-12 following an explosive chain of events – events that involve an armed hijack and rumours of links with corrupt police officers under direct command of the shadowy figure known only as ‘H’. Season 5 premieres on Sunday 31st March at 9pm on BBC One, with episodes airing weekly. “My team will get to the root of anything…” That’s Hastings, the head of AC-12, in the new trailer for Line of Duty Season 5. Created by Jed Mercurio, the cop drama about the anti-corruption unit has been sticking audiences to the edge of their seats since way before Bodyguard came along. Now, after that thriller proved a big hit, BBC One is starting to build the buzz for Line of Duty’s return, following a fourth run that starred none other than Thandie Newton. She joined regulars Vicky McClure (DS Kate Fleming), Martin Compston (DS Steve Arnott) and Adrian Dunbar (Supt. Ted Hastings), as well as Maya Sondhi as PC Maneet Bindra, Polly Walker as Gill Biggeloe, Aiysha Hart as DS Sam Railston, Tony Pitts as Det. Ch. Supt. Les Hargreaves and Andrea Irvine as Roisin Hastings. Stephen Graham has joined the cast of Line of Duty for its upcoming fifth season. Written and created by Jed Mercurio and made by World Productions for BBC One, Line of Duty is a crime drama that explores corruption among the police ranks. Season 4 was the Bafta-nominated series’ most successful run yet, airing for the first time on BBC One where it attracted an average audience of 8.2 million viewers. 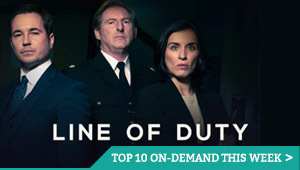 Growing across its run, the finale was Line Of Duty’s highest rated ever with a consolidated figure of 9.9 million viewers, placing it among the top five dramas of 2017 across all UK channels. Season 5 will follow a new case for AC-12 set nearly two years on from the hit crime drama’s previous instalment. Joining regular stars Vicky McClure (DS Kate Fleming), Martin Compston (DS Steve Arnott) and Adrian Dunbar (Supt. Ted Hastings), the new series will also see the return of Maya Sondhi as PC Maneet Bindra, Polly Walker as Gill Biggeloe, Aiysha Hart as DS Sam Railston, Tony Pitts as Det. Ch. Supt. Les Hargreaves and Andrea Irvine as Roisin Hastings. Now, BBC One has confirmed the identity of another key player: Stephen Grahamwill play John Corbett alongside Rochenda Sandall (Girlfriends, Broken) as Lisa McQueen – two pivotal figures in a deadly organised crime group. Known to have links with corrupt police officers and suspected to be under direct command of the shadowy figure known only as ‘H’, Corbett and McQueen become persons of interest to AC-12 following an explosive chain of events. Graham, who has impressed in everything from Save Me to Yardie, is one of Britain’s most versatile character actors, joining the ranks of such guest lead stars as Thandie Newton and Jason Watkins. They will be joined by Line Of Duty newcomers Taj Atwal (In The Club, Stella), Richard Pepple (Motherland, Beasts of No Nation) as new regulars PC Tatleen Sohota and PS Kyle Ferringham, alongside Susan Vidler (Shetland, The Coroner), Sian Reese-Williams (Hidden, Requiem), Ace Bhatti (Bohemian Rhapsody, No Offence) and Elizabeth Rider (Informer, Doctor Foster).